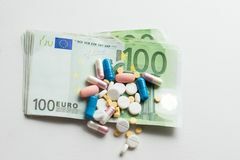 Pills on euro money isolated on white background. 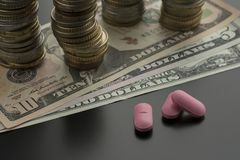 Medicine expenses. 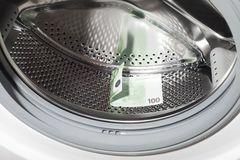 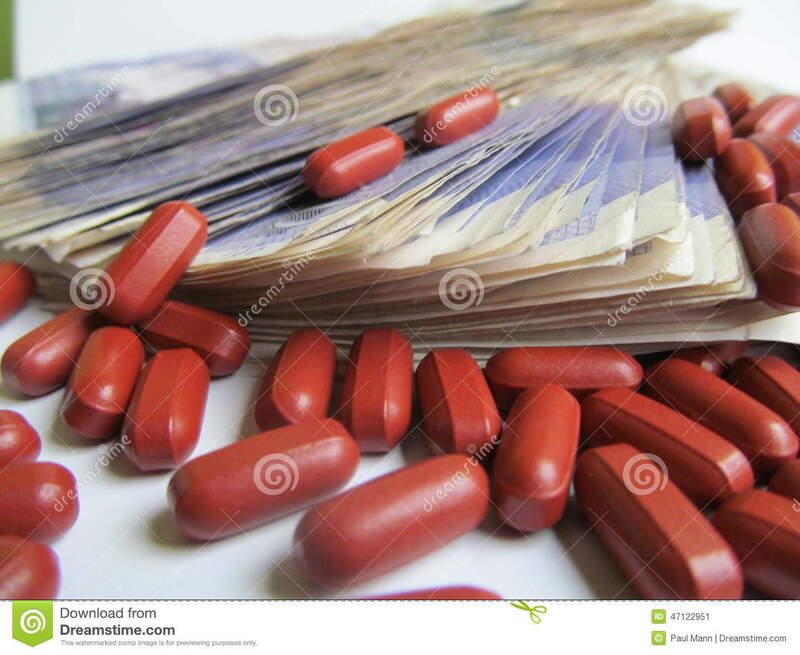 Place for text Blister stack packs of different pills on white background White and yellow pills on a money background Healthcare requires deep pockets Drugs on mpney Close up of syringe with injection on dollar banknotes Tablets are scattered for dollars. 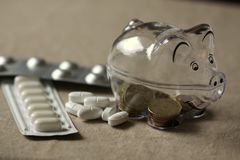 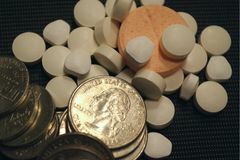 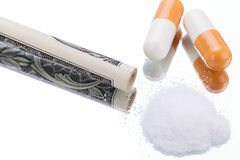 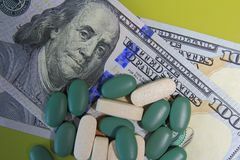 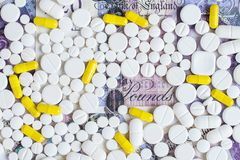 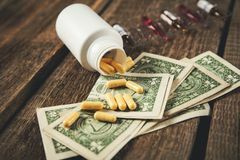 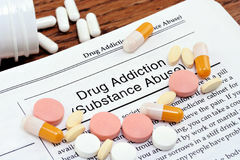 Drug money concept Pink pills, tablets, drugs with dollar bills Concept of health costs, social security, medical insurance.